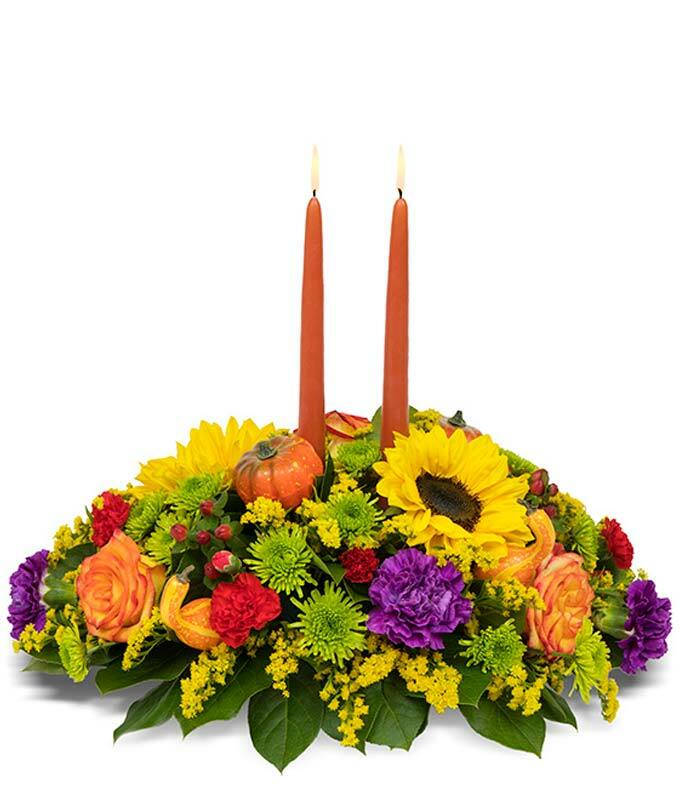 Send an expressive seasonal centerpiece to the home of a special friend or family. Perfect for bringing in a special time of year, this thoughtfully designed floral arrangement will bring color and conversation to any room. Send today!